European project eID4Spain: Connecting Regional and Local Administrations to Spanish eIDAS Node. The University of Valencia coordinates, through the IRTIC, the European project “eID4Spain: Connecting Regional and Local Administrations to Spanish eIDAS Node” (INEA/CEF/ICT/A2018/1633095), co-financed by the European Union's Connecting Europe Facility, to connect public e-services provided by 4 Spanish local and regional administrations (Junta de Extremadura, Diputación de Ciudad Real, Diputación de Valencia and Ayuntamiento de Rivas Vaciamadrid ) to the Spanish eIDAS node via CL@VE 2.0 in order to enable cross-border authentication in line with the eIDAS Regulation. European project POOL-TSPs: Adoption of the eInvoicing Directive through interconnected platforms of European Trust Service Providers. The University of Valencia coordinates, through the IRTIC, the European project “POOL-TSPs: Adoption of the eInvoicing Directive through interconnected platforms of European Trust Service Providers” (INEA/CEF/ICT/A2017/1560946), co-financed by the European Union's Connecting Europe Facility, to support the eInvoicing providers of the project consortium, to meet the European Standard (EN) on electronic invoice for cross-border transactions according to the Directive 2014/55/EU. In this sense, the EDI providers prepare their existing eInvoicing solutions to the EN, promoting the cross-border transactions between their thousands of clients around all Europe. European project UP-Access: Upgrading Access Points for cross-border eDelivery. 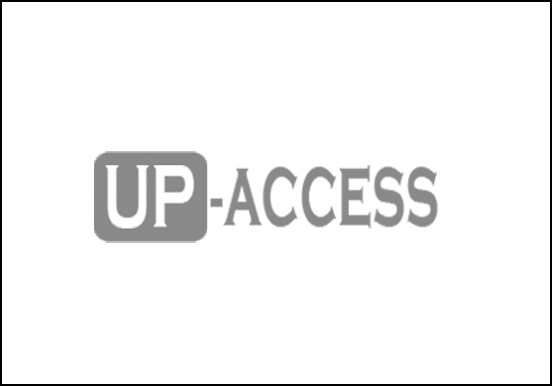 The University of Valencia coordinates, through the IRTIC, the European project “UP-Access: Upgrading Access Points for cross-border eDelivery” (INEA/CEF/ICT/A2017/1527154), co-financed by the European Union's Connecting Europe Facility, to implement the AS4 protocol and upgrade the Service Metadata Publishers (SMP) of the 4 PEPPOL Access Points of this consortium (lnvinet, BabelWay, Storecove/DATAJust and Credemtel) used by thousands of clients from different Member States. European project EUROFACe. FACe: The core platform of the Spanish public authorities to process the European standard on electronic invoice. The FACe project aims to promote the integration of electronic invoices generated in European Union countries with the format currently used in Spain. Directive 2014/55 / EU establishes the obligation of Member States to accept electronic invoices in public contracts, following the European standard (CEN), before November 27, 2018. Currently, Spain is using its own format for the electronic invoice (Facturae) that is not completely compatible with the European format. Therefore, it is not possible for Spanish administrations to accept electronic invoices from EU countries directly without modifying their computer systems. European eInvoicing Project: implementation of the European electronic invoice whitin the Public Health area. The University Institute for Research in Robotics and Information and Communication Technologies (IRTIC) participates in the GOVeIN project, aimed at facilitating the implementation of electronic invoicing in the public health sector in Europe. Funded by the European program "Connect Europe", the project involves different public and private entities.